When I first saw ZooMoos I thought, well those are cute, what are they?… Then, once I learned what they were, that was it for me, I had to have one… I present to you the next kid craze to sweep the nation, ZooMoos! 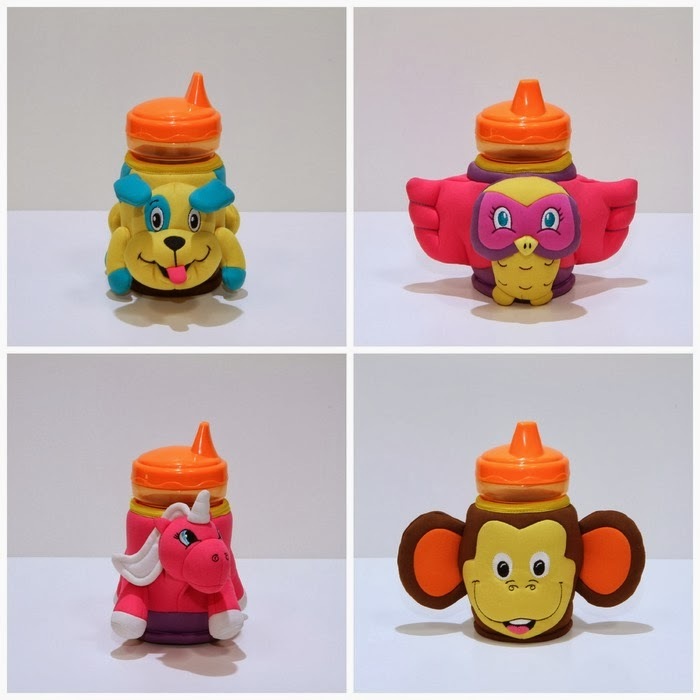 When the inventor of The ZooMoos, Diana Dinges, a devoted mother to two beautiful children, reached out to me about her product, I was instantly impressed by how much research and development she had conducted to over the past few years to create the ZooMoos. Not to mention, I could instantly see how a ZooMoo would help solve an annoying problem or two in my house! My boy LOVES ice water. In fact, so much so FTD taught him how to sing, Ice Ice Baby! To which he sings every time I make him a water. Seriously! He always wants ice in his water. Which is totally fine, but this also means that his cups are constantly sweating all over the house! So for me, the ZooMoo was going to fix two annoying problems I have right off the bat. 1. Keeping water ice cold. 2. Keeping ice cold water from sweating all over the house. I admit, I thought about getting one for my own beverages. Maybe the Unicorn… DON'T JUDGE ME! Little did I know the ZooMoo would also help with two other annoying problems. 1. Sometimes both FTD and I make the man-child a water, because we do not know that there is one already floating around. Now that we have the ZooMoo, we make sure his water goes in it before giving the drink to him. No ZooMoo on the counter means there is a water floating around somewhere. 2. 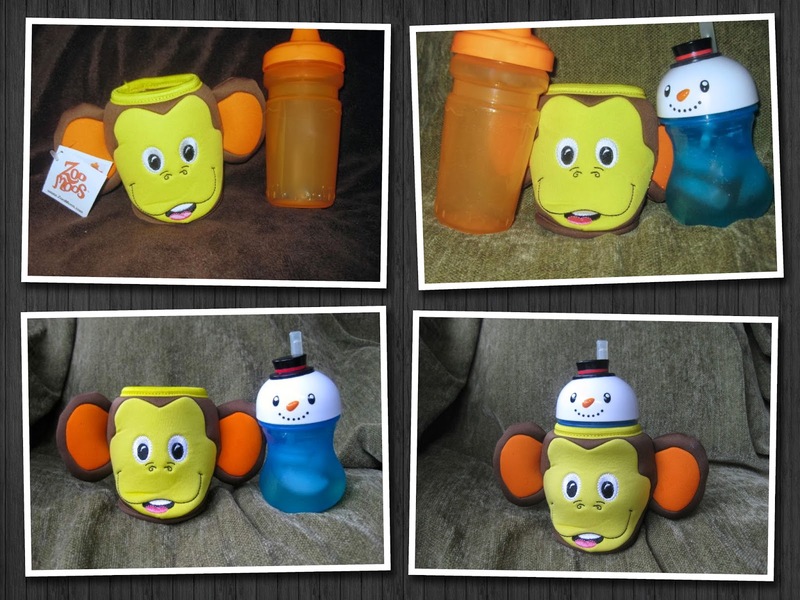 Thanks to that plush little Monkey, his water is MUCH easier to find. Plus, this afternoon I said, Where is your monkey? and off he went into his room, and emerged a few seconds later proudly holding his monkey! Currently available in four cuddly creatures! Puppy (Buster), Owl (Rosie), Unicorn (Sparkle) & Our favorite, a Monkey named BoBo! 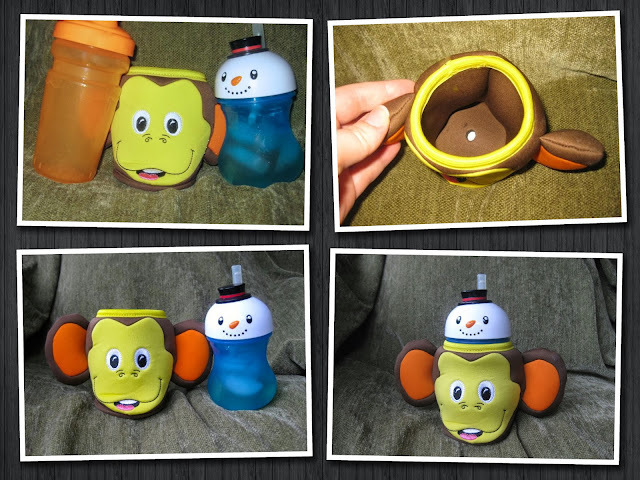 but designed to fit most sippy cups, soda cans, other kid cups & water bottles. Safety tested and approved for ALL AGES!